Front row: Will Mackenzie, David Moir, Cecil Nuttall, ? Clark. Horace Lindsay was my dad. 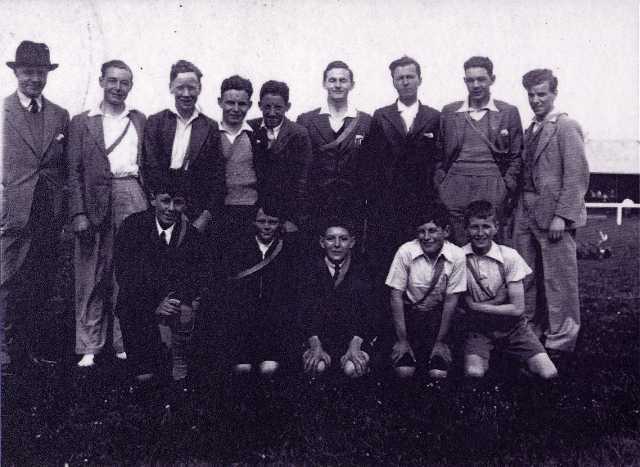 The unknown boy at the far right of the back row is Alex Matheson, identified by my aunt May Fenwick (nee Gammie), his cousin. She was starting in Invergordon Academy when he was a big boy there. My aunt was 11 in 1933 and so this photo cannot be earlier than 1933 and is 1935 at the latest. She also recognizes Cyril Chapman and Cecil Nuttall.